Just off the Appleby Highway sits a quaint chapel that has been lovingly transformed into a charming cafe and restaurant. 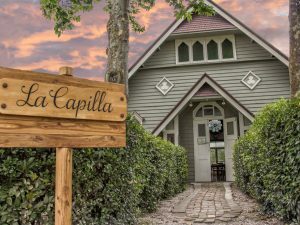 La Capilla, which literally translates to the chapel in Spanish. Its rustic interiors and beautiful and peaceful surroundings make it the ideal spot to indulge in a midday or evening meal.